Ten Speed Press, 9781580087964, 288pp. 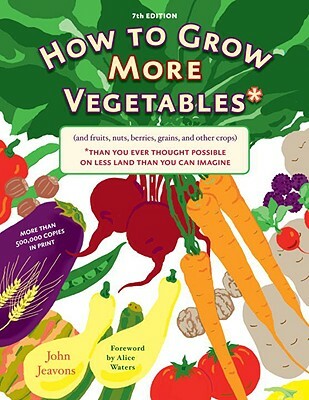 A classic in the field of sustainable gardening, HOW TO GROW MORE VEGETABLES shows how to produce a beautiful organic garden with minimal watering and care, whether it's just a few tomatoes in a tiny backyard or enough food to feed a family of four on less than half an acre. Updated with the latest biointensive tips and techniques, this is an essential reference for gardeners of all skill levels seeking to grow some or all of their own food. JOHN JEAVONS is a cofounder of the group Ecology Action and the father of the modern biointensive gardening movement. He lives in Willits, California, where he has been growing more vegetables for decades.